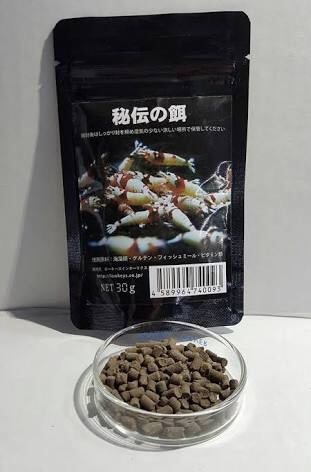 I found this an interesting shrimp food with a surprising use. Lowkeys Japan states that shrimp are generally fed too nutritious food on a regular basis, in contrast to what they would find in nature. My shrimp initially ignore it completely when put in the tank. I suspect they might be spoiled with the other foods I give them. Give them A few hours and the shrimp start leisurely nibbling for a while, then going away, and coming back in a few hours to have some more. I find this incredibly interesting: the whole structure- holding, non-fouling food that lasts forever in a tank ( I would just like to clarify: "forever" means a week holiday in this review ). Not available for purchase in Australia at the moment. Available in USA, Canada, Japan, Singapore, Hong Kong, Malaysia. Highly recommended as a holiday food option. This Lowkeys Hiden No Esa Secret shrimp food gets ?? ?/5 shrimp tails.